The results of a 2007 study published by the Australian Government Department of Health show that anxiety disorders affected 14.4% of all people aged 16-85 years in the 12 months before their participation in the study. Despite the prevalence of the problem, many people try to cope without help because they are fearful of admitting that they need anxiety treatment. This need not be so. Anxiety is a natural, normal emotion but one that can lead to trouble if thoughts and behaviours reinforce the anxious feelings rather than allowing them to dissipate. The resulting problems range from the exhaustion of constant, ‘low-grade’ anxiety, to the crippling effects of intense and debilitating anxiety. If anxiety has been a problem for you, taking the decision to find out about how we can help is an important first step on your journey to recovery. To help you make your decision, here is a brief overview of some techniques for dealing with anxiety. This treatment is suitable for almost everyone and is non-invasive and painless. The sessions involve using feedback from the patients’ own brainwaves to retrain the brain. Scans can pinpoint areas of the brain where anxiety is causing brainwave activity to be too fast or slow and normalise that activity. This can be of tremendous benefit as patients suffering from anxiety often have hectic lifestyles that may result in skipped meals and quick snacks of highly processed foods with poor nutritional content. Supplementation is no substitute for a good quality diet full of ‘nutrient-dense’ foods that supply the body’s needs. However, where there is a serious deficit, it may not be possible (at least in the short-term) to correct this with diet alone. Minerals such as Magnesium, and Vitamins, especially D3 and the B group vitamins, B6, B12, Riboflavin and Folate may be seriously deficient and this can make the symptoms of anxiety much worse. Published studieshave demonstratedthat treatment with the prescription medication Fluoxetine (Prozac) can be more effective when used in conjunction with Vitamin D3 or Magnesium supplementation. A multi-vitamin might help a little, but the correct dosage of the most bio-available forms of specific nutrients will produce optimum results. 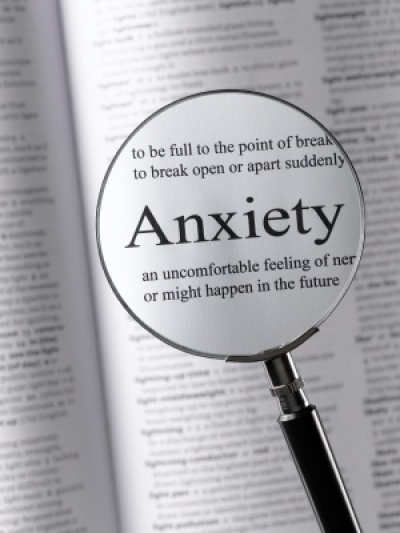 Expert advice from Perth Brain Centre will be invaluable during your anxiety treatment. Rapid breathing is common during panic attacks and anxiety episodes. Because it alters the oxygen/carbon dioxide balance in the blood, symptoms can escalate. However, abdominal breathing techniques that slow down your breathing rate help to calm the situation and the symptoms. These techniques are simple to learn and can be practiced anywhere although they must be taught correctly to be effective. Progressive muscular relaxation is another technique that, used in conjunction with abdominal breathing for around twenty minutes each day, will help re-program your body to relax more quickly and ‘on-demand’. In addition to the nutritional advice and relaxation techniques mentioned above, we can give lifestyle guidance to maximise the benefits of your anxiety treatment. This could include suggesting strategies for coping with insomnia, panic attacks and difficult situations.